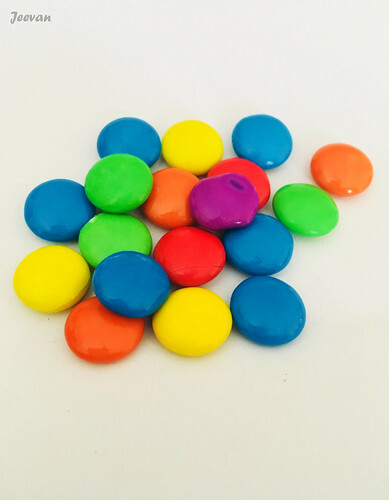 Cadbury Gems is chocolate flavor, rich and chocolate buttons.What makes Gems different is the way the chocolate has been designed as colorful candy. I ate some of them. Thanks, they were very good. I have never heard of these! Maybe not available in the US? Wow! nice and happy colours there. I would be happier if they all go inside my mouth. Yums! I used to like these colours. But nowadays, any colour on food products make me think how many chemicals might have been added to get that look! These are pretty enough to eat! They look like our M&M's. Chocolate candy, YUM! They are new to me so I'll have to see if I see them in a store. Cadbury is a delicious candy! Love their creme Easter eggs! Neat photo! I love those colourful gems! Used to eat lots of those in my young days!